Working on assets in Elvis starts by searching for these assets. Some assets are searched for on a regular basis, such as those in a particular location, with a particular status, and so on. 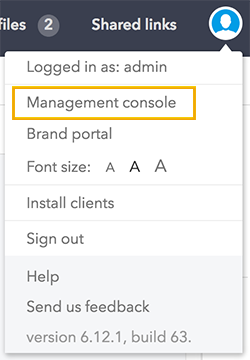 Managing Search Presets is done on the User Groups page in the Management Console. Step 3. In the menu at the top, select Search Presets. Step 3a. Click the + sign. Step 3b. 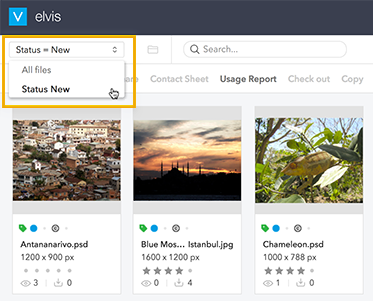 Browse to the folder that contains the assets that should be found and select it. Step 3d. (Optional) Add additional folder locations. For information about constructing queries, see The Elvis 6 query syntax. 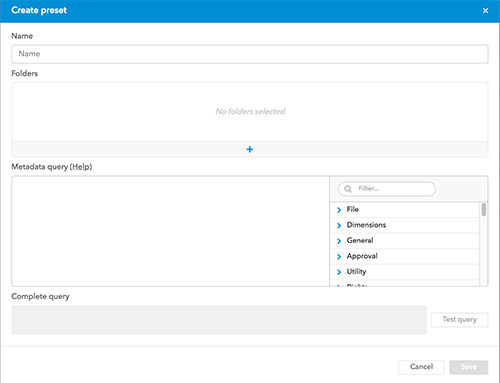 Assigning a Search Preset can be done manually or as part of copying Permissions from an existing user or user group. 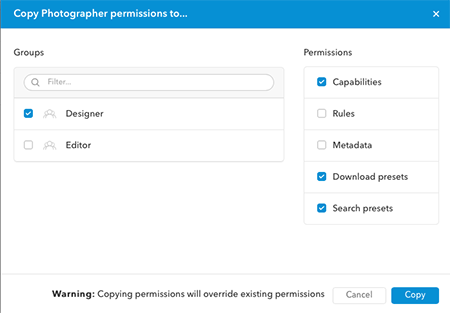 Copying Permissions is an efficient way of quickly assigning an existing set Permissions to a user group. Warning: When copying, all existing Permissions for that user group will be replaced. Step 1. From the list of user groups, choose the user group from which you want to copy the assigned Permissions. Step 3. From the list of users groups, choose the user group to which you want to copy the Permissions. 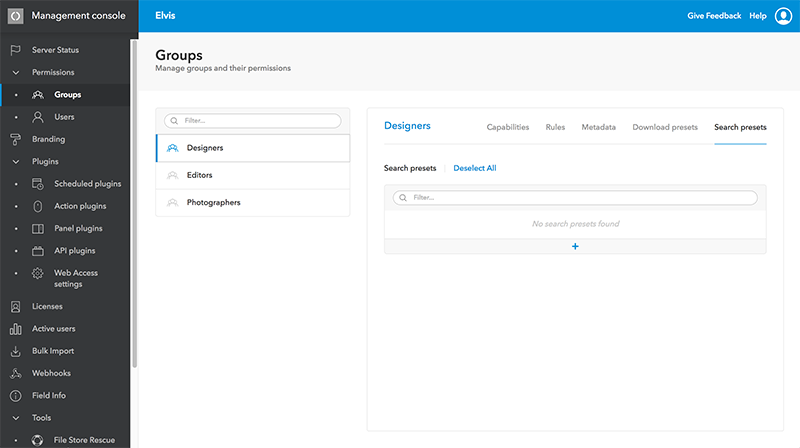 3 April 2018: Updated section 'Assigning a Search Preset to a user group' by adding steps for copying Permissions.